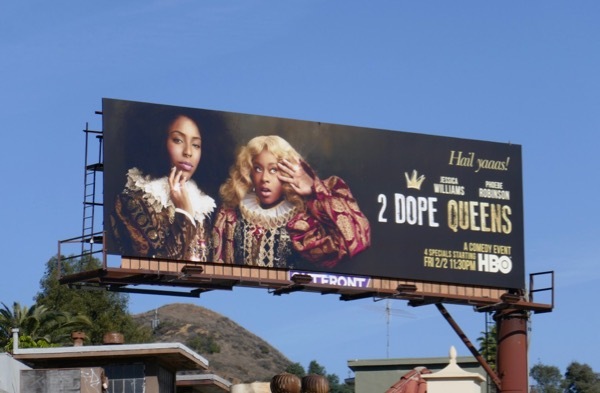 All hail the new queens of comedy, as Jessica Williams and Phoebe Robinson bring their infamous 2 Dope Queens podcast to the small screen for four HBO hour-long comedy specials. 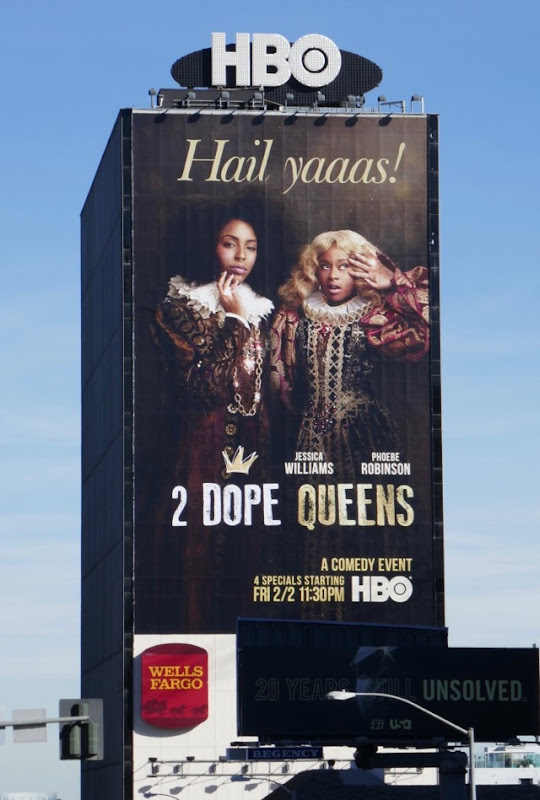 The funny ladies from The Daily Show and Broad City are reigning over the city skyline in their Elizabethan attire for their New York-themed special filmed before a live audience at Brooklyn's King Theatre. 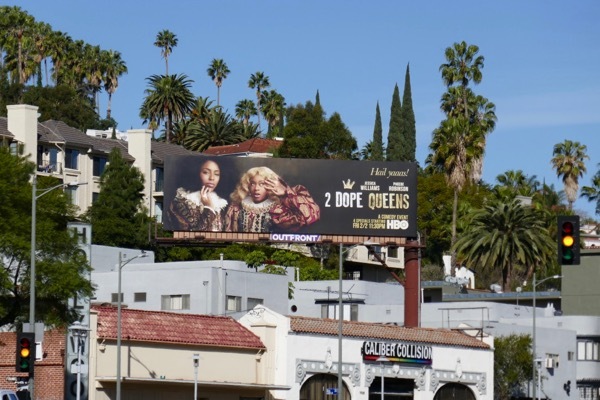 The standard landscape 2 Dope Queens billboard was snapped along Cahuenga Boulevard on January 26, whilst the giant-sized ad creative was photographed lording it ever eastbound traffic along the Sunset Strip on January 28, 2018. 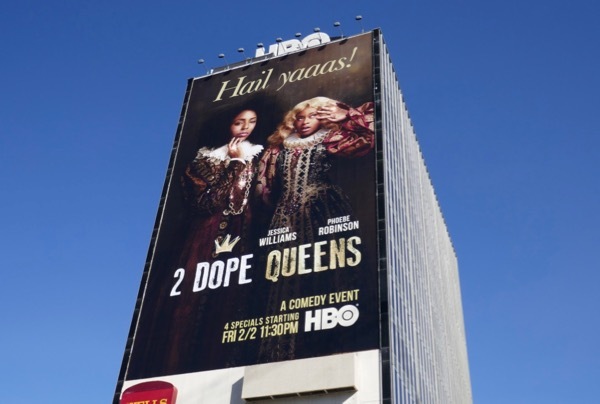 These women may be podcast royalty, but can the double act conquer the throne of television comedy in 2018. 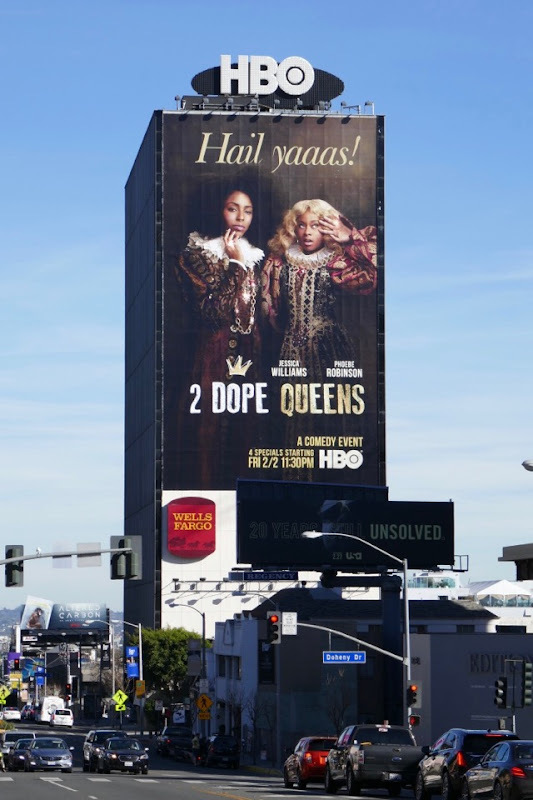 The answer of course is 'Hail yaaas! '.